Dry pinto (Spanish for “painted”) beans have a mottled brown and pink surface that, when cooked, develops a uniform auburn hue. 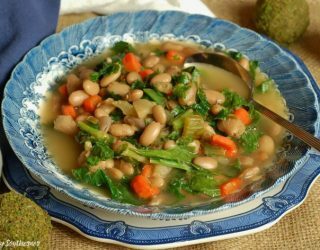 As the bean with the highest fiber content, their texture is firm, and they are delicious when paired with brown rice. 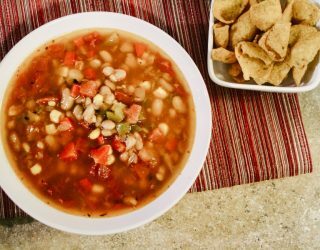 Pintos are commonly seasoned with chili powder, jalapenos, cumin, onion, and garlic, but their natural flavor is rich enough to be served with a mere sprinkling of salt. 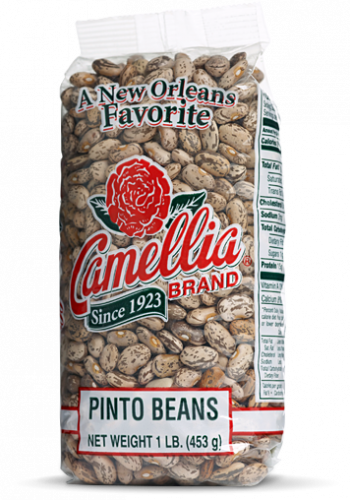 Like all of our beans, Camellia’s Pinto Beans are non-GMO, gluten-free, and meet the “Hayward Standard” – the name our growers gave our bean quality standard – which exceeds the top USDA requirements. Try some today – we think you’ll taste the difference. 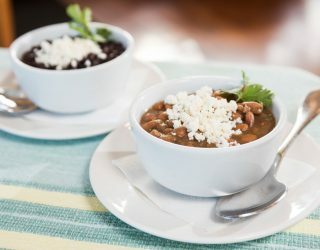 Popular in Latin American dishes such as refried beans and chile con carne, pinto beans are also also used in three-bean salads, minestrone soup, stews, and casseroles. Perhaps because of their versatility, they are the most consumed bean in the United States.